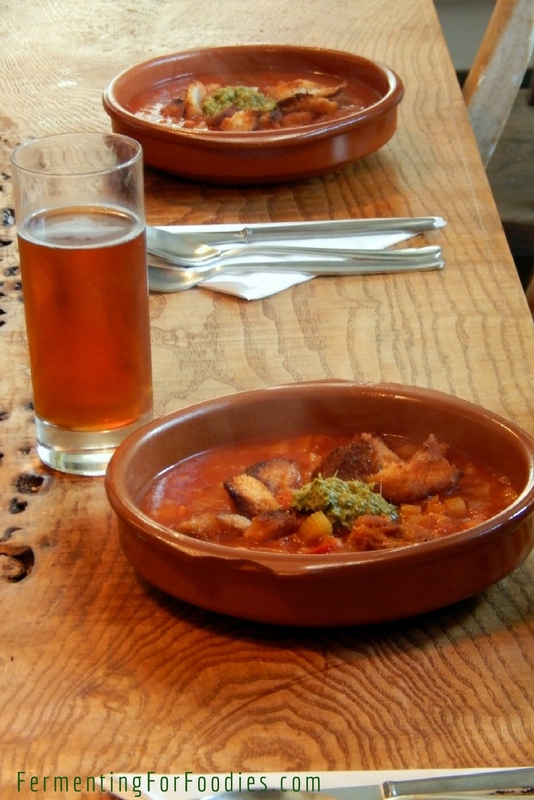 All beer traditionally would have been sour beer. This was dictated by the lack of sterility in the brewing process and the fact that standardized pure yeasts weren’t available. So, historically, all beers contained some wild yeasts and bacteria, which inevitably led to unpredictable results and a sour flavoured beer. Modern sour beers are a unique and delicious creation. I wanted to learn more about this style of brewing, so I went to visit Seren Brewing in Wales. 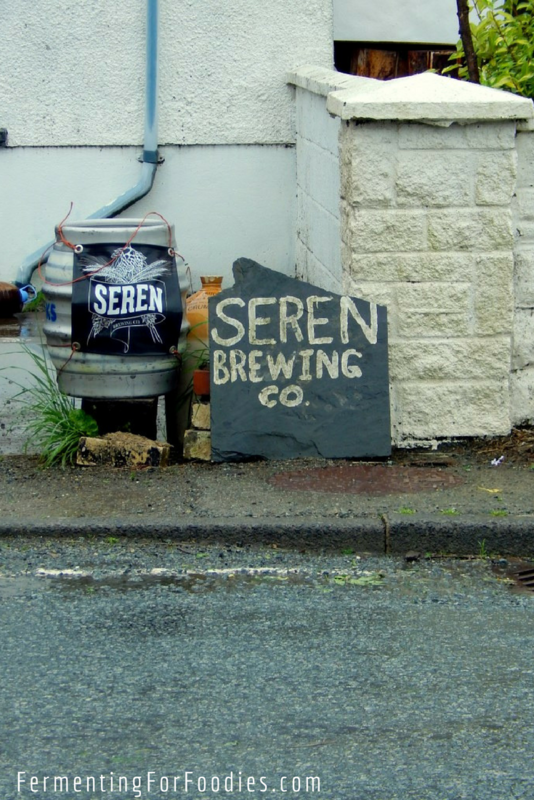 Seren Brewing claims to be the smallest brewery in the UK, operating from a family home out in the Welsh countryside. A single small room with a bit of extra storage stashed away under the stairs houses most of the brewing equipment. However, it was the yeasts and the brewing process that primarily peaked my interest in the nano-brewer. 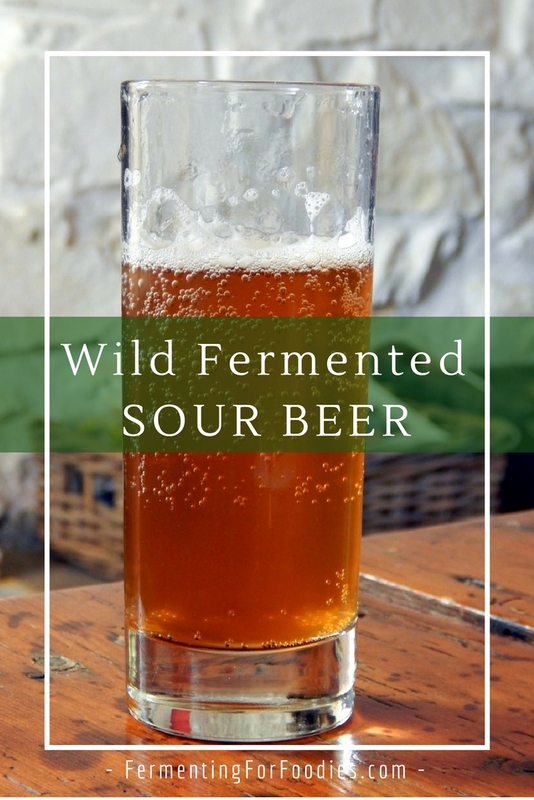 Seren Brewing proudly uses wild yeasts, collected in a manner that would be familiar to most fermentation foodies. 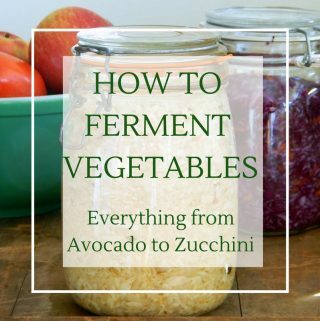 Seren’s Master Brewer, Ali Kocho-Williams, sets out mason jars filled with a starter solution in various parts of his land to collect different strains of yeast and bacteria. The thought of mason jars protected only by a piece of gauze to keep the flies out made me wonder whether he has many failures. <I know that I’ve certainly had my share.> However Ali has never had a large scale failure. 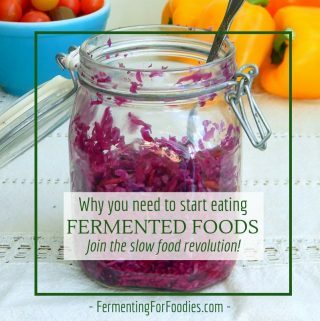 He carefully monitors the pH levels and uses a microscope so that he knows exactly what microbes are in his ferment. Then he produces small test batches to determine their flavour profiles and viability. It’s all of this attention to detail that gives modern sour beers a flavour profile that is worth searching for. Unfortunately, by the time I made my way through the back roads to Seren Brewing, they had already sold out for the week. Ali told me that they only bottle twice a week, and even then they only bottle a small amount because it is all done by hand. Which means that they pretty much sell out right away. It is definitely a locals-first sort of thing, however, they also have a distributor from London who is importing their product into England. I guess I will just have to make sure that I get there quicker the next I’m in Fishguard. What do you suggest for a starter culture? I use off the shelf brewing yeast right now but would like to give some kick to my homebrew IPA.